Update on April 30th, 2017: As of version 4.6.0, there are far more ways to obtain Village Points than what’s listed below. 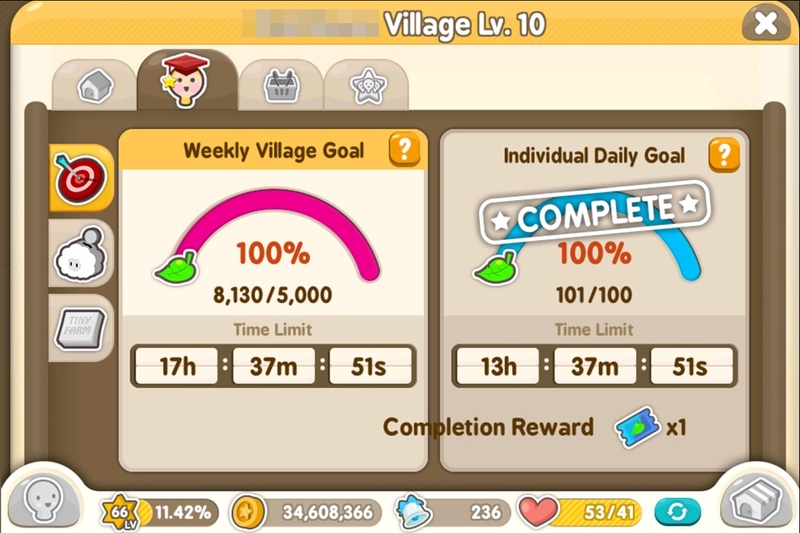 Please refer to the “Village Point” button on the screen that shows Weekly Village and Individual Daily Goals for a list, or the new FAQ accessed through the Notice/News section in-game. 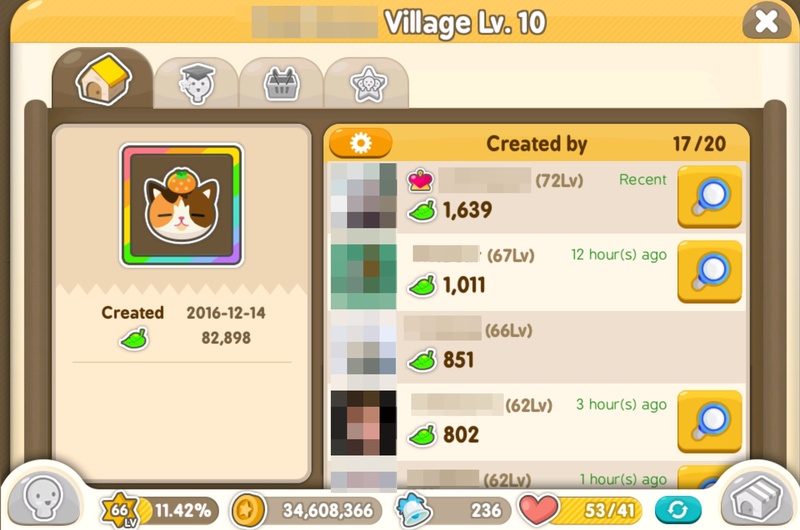 There’s really not much to talk about since most things are straightforward, but there’s something I noticed in the village I was previously a part of — it seemed like some members didn’t know how to accumulate Village Scores. In that village, we never made the Weekly Village Goal. There was only about 7 or so members and I think 2 of them weren’t around most of the time. Active members would have had to come up with about 1,000 points each and I don’t think anyone ever got past 600. 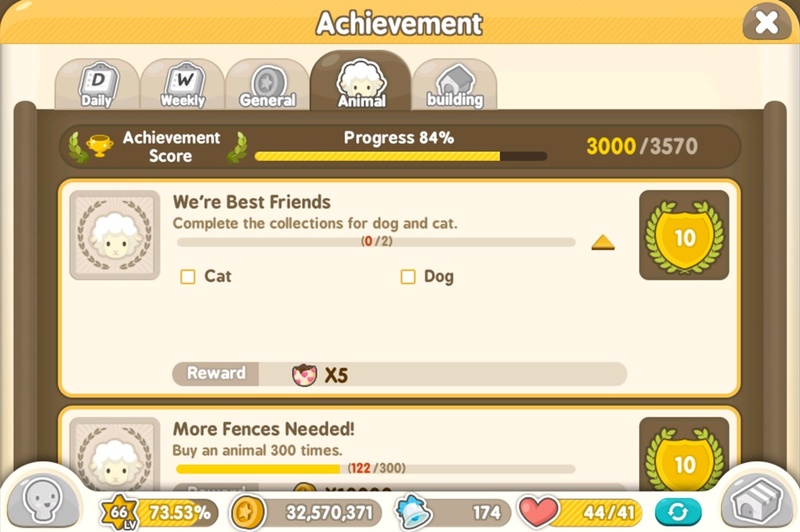 The majority didn’t even complete the Individual Daily Goal. In contrast, the current village I’m in blows past the weekly goal with ease since most members meet the their daily goals. 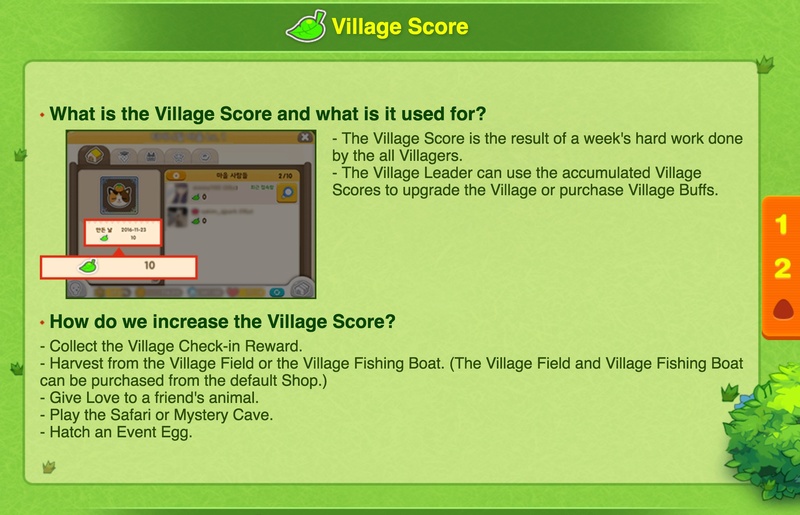 So what are the ways to build up Village Score points? The question mark next to the Weekly Village Goal header in the image above provides a breakdown. 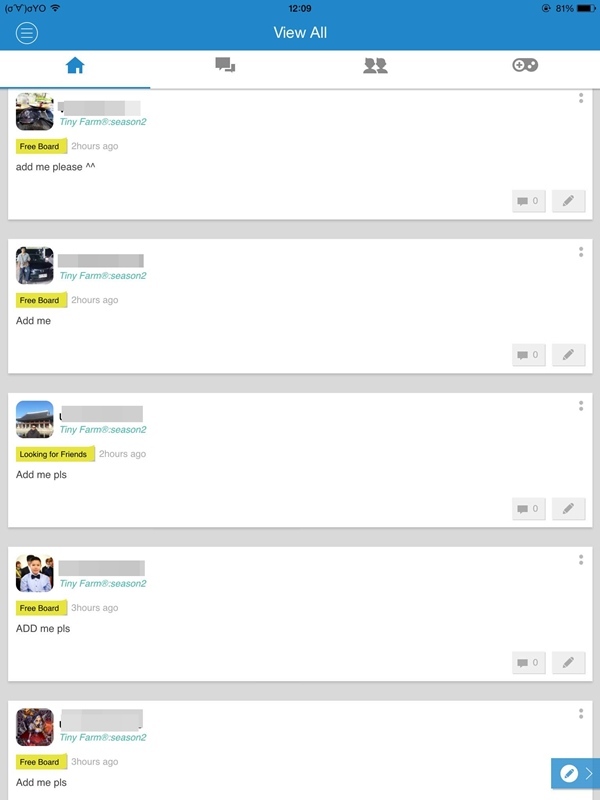 Otherwise, a general list can be found in the Village FAQ that can be accessed through the Notice button. 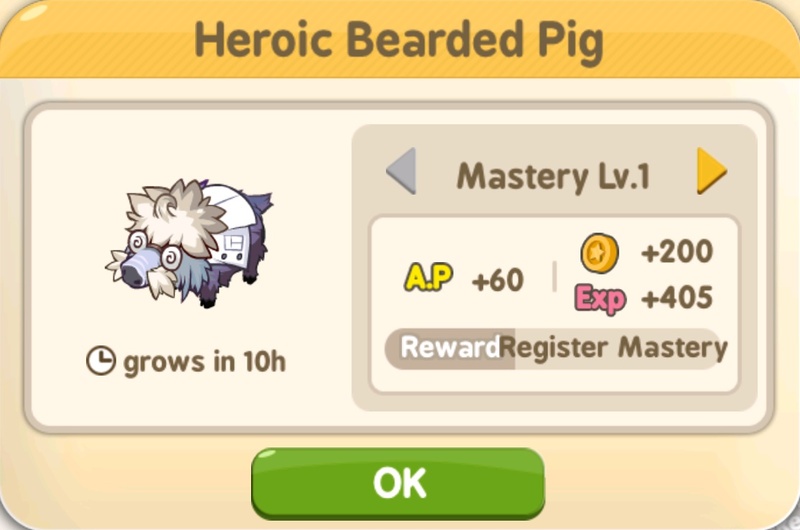 There’s a bit of anger and frustration going on with the Tiny Farm community lately thanks to Com2uS’ brilliant strategy of releasing two HEARTS-EATING events within days of each other. 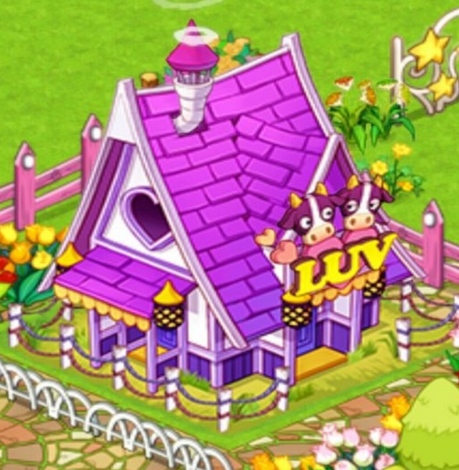 The first is the Valetine’s Day event which runs from Feb 11th 6 PM until Feb. 25th 11 PM PST. 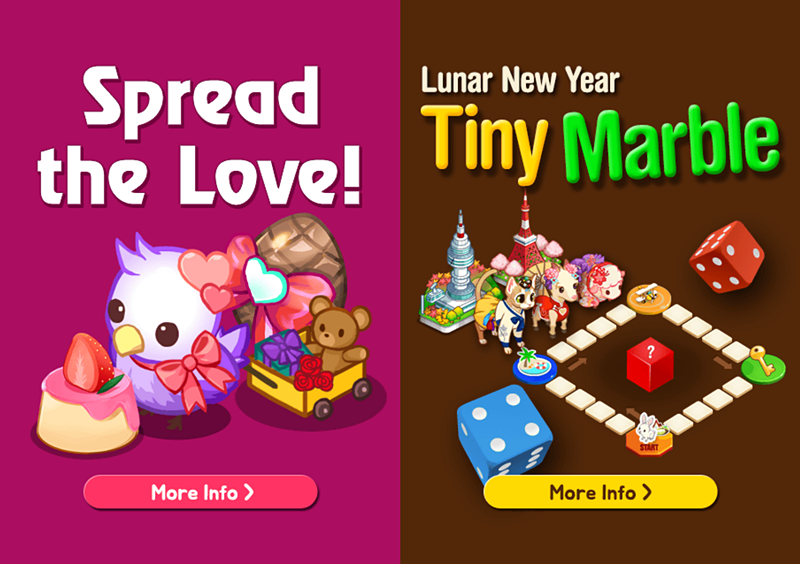 Shortly after the debut of that event, the Lunar New Year event made its appearance. 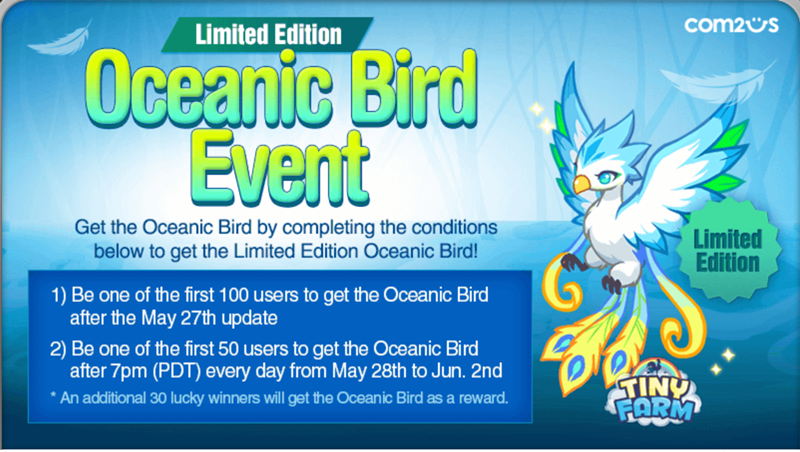 This started Feb 15th 6 PM PST and will end on March 4th 6 PM PST. Double the events, double the UNfun. 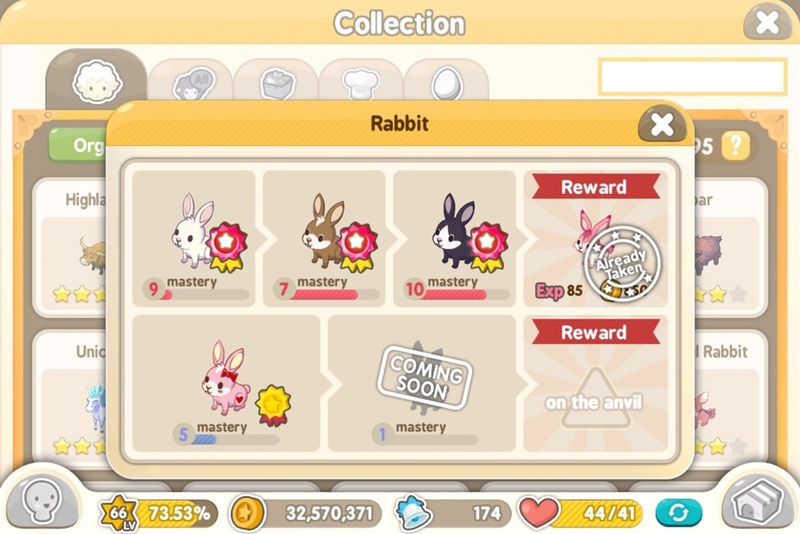 Simultaneous events are nothing new in Tiny Farm, but the problem is this: Hearts, which can be viewed as a form of virtual currency in Tiny Farm, replenish at a rate of 1 per 10 minutes. 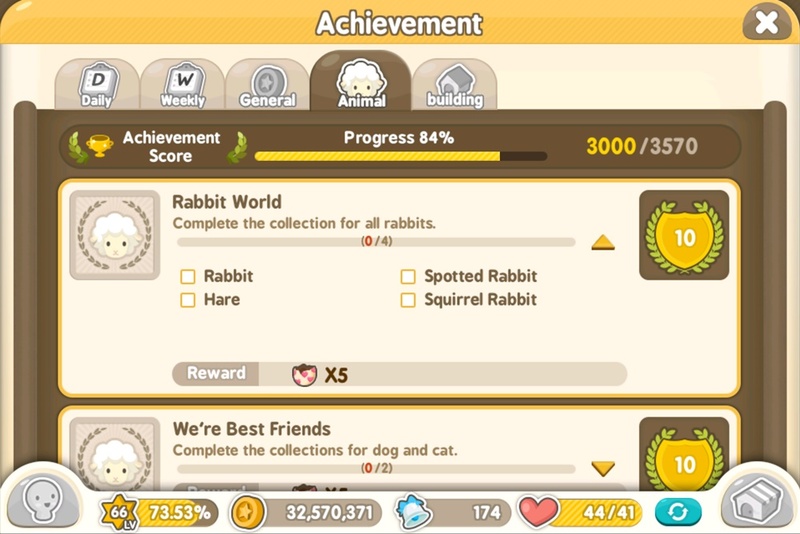 You may be able to imagine how terrible it is to try and meet a requirement that reads “Give 50 Hearts to a rabbit” for someone that has a pool that maxes out at, say, 21 Hearts. 😛 Incidentally, that 50 Hearts crap is something the game asks for in the Lunar New Year event and it appears MULTIPLE times.